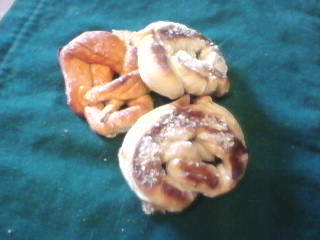 We had a fun with a pretzel recipe.You can make a pretzel at home and turn it into a Thanksgiving cornucopia. Enjoy! We followed this Betty Crocker recipe. A little more labor intensive than I thought, but so worth it. 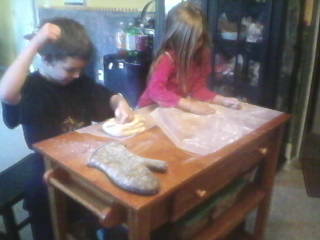 In the past, we made easy pretzels with canned dough- Fun to make and tasted o.k. but this recipe tastes like we bought them at the store. 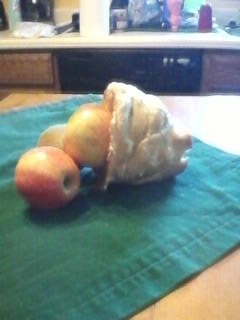 We made the cornucopia by wrapping strips of the processed dough around a greased cake funnel. We tried sugar and salt variations for the coating. You can make pretzels with the same recipe. 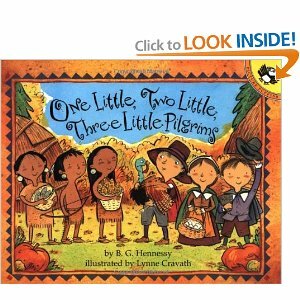 "One Little, Two Little, Three Little Pilgrims"
This is a fun twist on "Ten Little Indians". 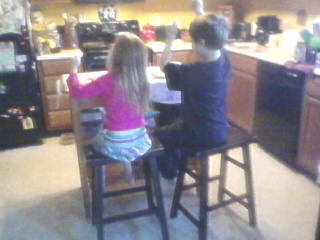 Kids love to sing "One Big Turkey". Creative! I'm not crafty- and I don't bake, BUT I like seeing other people do it!